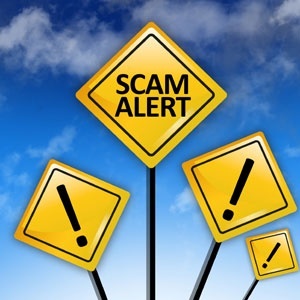 Beware South Africa, it’s a scam! THOSE of you who have been seriously scammed before will know that professional scammers belong in the category of the most patient people around. They take their time scanning the environment to identify their potential victim. They probably follow them around, study and make note of their habits, strengths and weaknesses, compile a list of their likes and dislikes and, when all is in place, befriend them. Their victims are often people in desperate need of something the scammers often find a way to figure out and use as bait. It could be love, for lonely men and women on dating sites; it could also be business opportunities for freelance hustlers like me. For others, it could be the mere desire or greed to amass millions of rands for all sorts of reasons not quite relevant for this discussion. Even befriending the identified victim is always carefully scripted and carried out with care. The right person in their group – or cast – would be identified, probably on the basis of the personality of the intended victim, and prepared for the first encounter. By the time they make contact, they would know the right things to say and how to say them. They also know when to stage a strategic topical retreat when they sense that they might have broached the topic too early. They too have to be patient, taking the scripted time to get themselves trusted and, eventually, liked by the unsuspecting victim before they bring up the topic again. Success will lead them to the victim’s bank account, vault, or whatever else they want to get their hands on. The grooming process can take weeks, even months, before the scammers decide on the right moment to strike. Because the “strike” is often staggered and happens over weeks, even months, it’s often too late by the time the victim wakes up to the scam. That is what happened to me back in 2011. My scammers used my knowledge of French as an entry point. In short, the pick-up line used by the person used to get to me, all in French, went something like this: “I have an important investor who arrived in South Africa less than a week ago. He comes from a very wealthy family in the DRC and is here to look for investment opportunities. His entire family sent him to invest their wealth in South Africa, buy a family home and prepare for them to come and join him, probably in about a year’s time. Everything seemed so legitimate that I even omitted to undertake basic checks like asking for ID documents when the time came. The person who did the introductions was a Congolese waiter I had become friendly with at a restaurant I had been frequenting for several years, so I had no reason to be suspicious. When the said investor – the kingpin – finally came to meet me, he was immaculately dressed, spoke good French in a tone that wasn’t hurried, and sounded like a culturally well-groomed prince. He was even accompanied by a bodyguard. The whole first encounter was scripted like a movie scene, and I fell for it. We met a few times to discuss David’s needs and his expectations of me, and within a fortnight agreed on the terms of our engagement and signed an agreement. For my advisory services, he would pay me a monthly retainer for 12 months, renewable if all went well. Over the weeks that followed, I was introduced to other actors in the elaborate scheme, a major one from Somalia and another from Cameroon. Later on, two Hawks officers got involved. They’re now serving time in jail; the foreigners are on the run, and I was left R300 000 poorer, some of it in credit card debt. I had been asked for a number of soft loans over several weeks, loans that would be refunded with interest as soon as David would have managed to open a local bank account. Needless to say, it was too late by the time I woke up to the reality of what I was being taken through. Why, you might be wondering, am I telling this story here? Simple, the Zupta state capture increasingly seems like a horrendous déjà vu to me. Not only does it give me an eerily creepy feeling down my spine, it makes me very angry. In the same way that I ignored the warnings of two friends who became suspicious back in 2011 when I mentioned my new “clients” to them, we’re witnessing former heroes and heroines of our hard-won liberation struggle being used to empty not their personal bank accounts, but our state coffers for the benefit of a bunch of foreign scammers. It is worse than a Ponzi scheme. What is happening to South Africa as I write this did not begin two or three years ago, with the firing of former finance minister Nhlanhla Nene. The alleged kingpins in this elaborate political scam arrived in South Africa more than 20 years ago. Evidence unearthed over the months shows that they took their time scanning the environment for weak entry points in our corridors of power. They now use a coalition of greedy, local enablers to run our country from behind the scenes. Through local proxies, they appoint board members for key state institutions; they determine who gets appointed as CEOs, chief financial officers and chief procurement officers for state-owned entities; they appoint cabinet ministers; they draft and approve important state documents – seemingly even policy ones – and they brief spokespersons of important state institutions on how to defend the indefensible against the best interests of South Africa. What else must happen before we clamp down on the madness?